In our ongoing dedication to continue offering the best in service and charter capabilities, we are excited to introduce the Silverhawk Jet Card. In honor of our 25th Anniversary this month, we celebrated among the Lincoln community, local businesses, and loyal customers with the unveiling of the new Jet Card. It is specifically designed for those that live and work within 175 miles of Lincoln. Our Jet Card offers exclusive access to the industry’s best rates and terms for private travel, providing the greatest possible value for a safe and remarkable flight. You will experience a truly remarkable flight at an exceptional price compared to other leading jet card providers. No membership fees, no fuel surcharges, no expiration date, no hidden fees. We are proud to be the only jet card program to make all of these promises. We offer a personalized experience every time you fly. Expect the best in dedicated service, safety, convenience, and reliability. 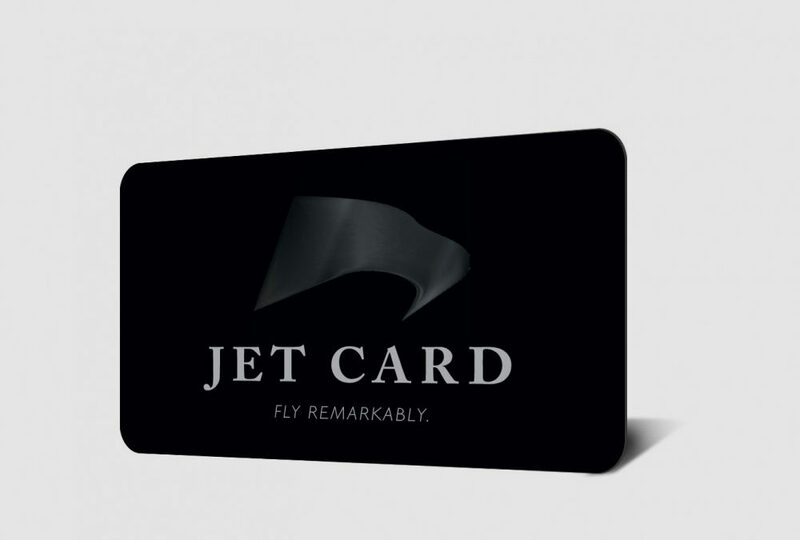 Save time, save money, and fly remarkably with the Silverhawk Jet Card. Signing up is easy. To take advantage of this exclusive program, call 402-475-8600 or visit www.silverhawkjetcard.com.